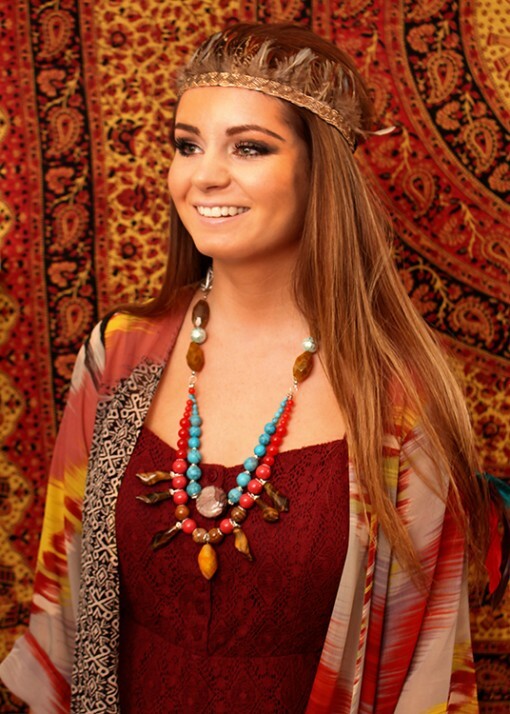 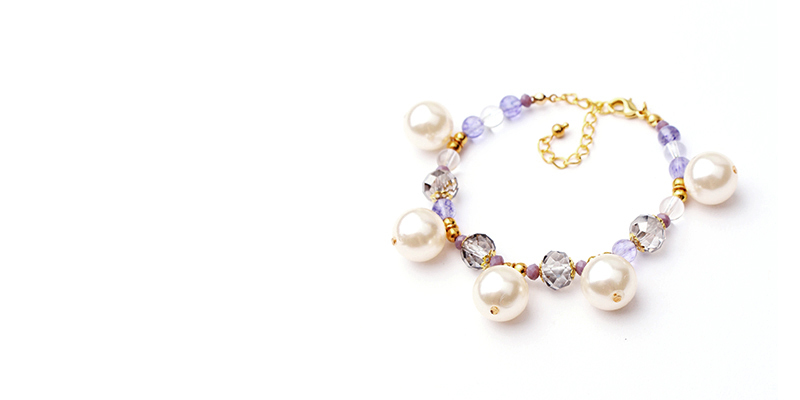 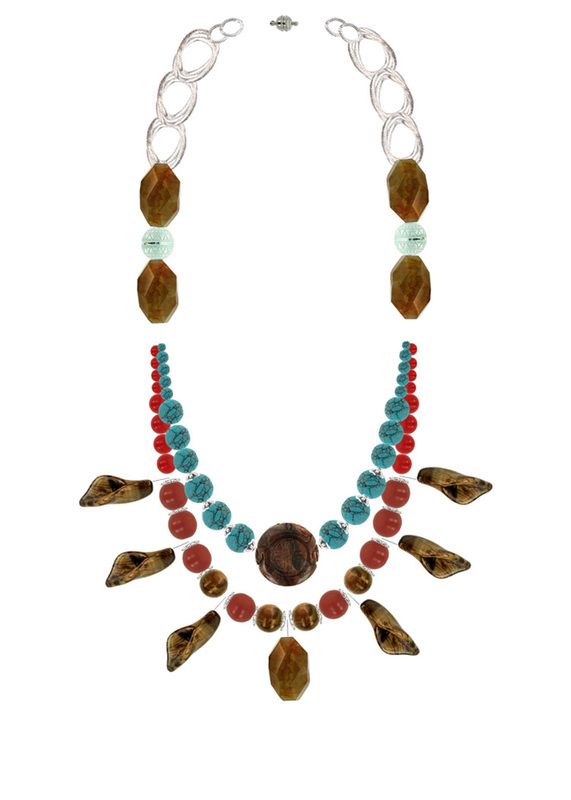 EDIT OR BUY SMOOTHSTONE – BOHO COLLECTION. 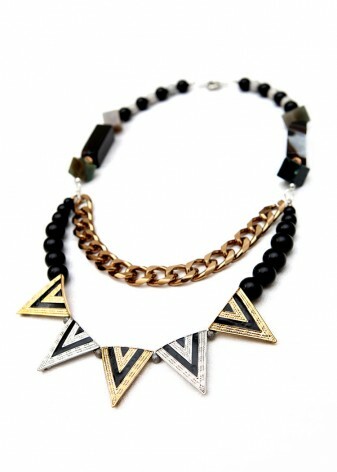 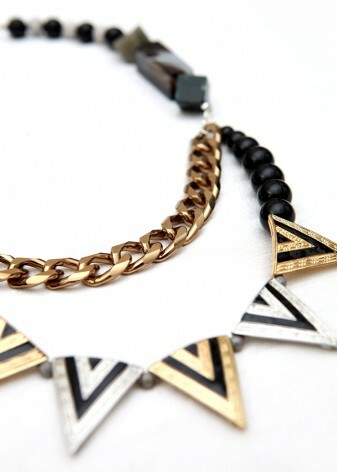 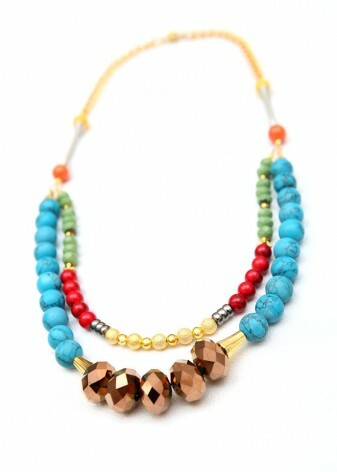 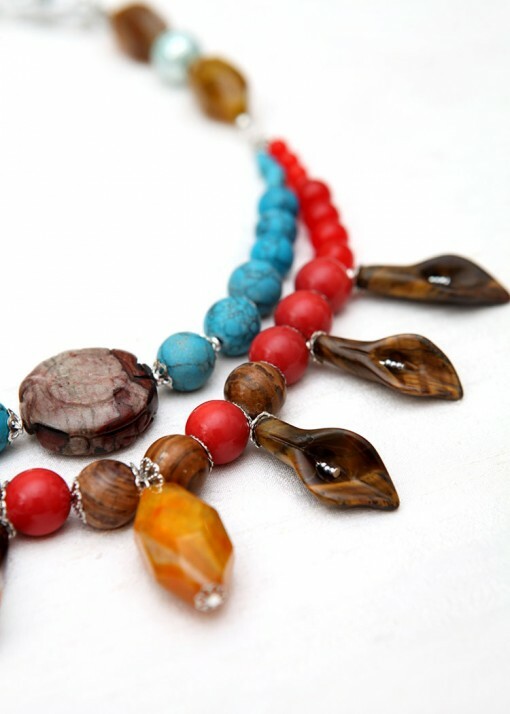 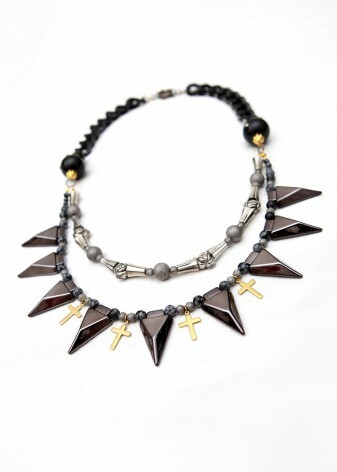 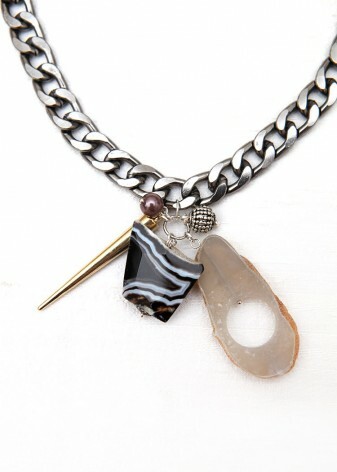 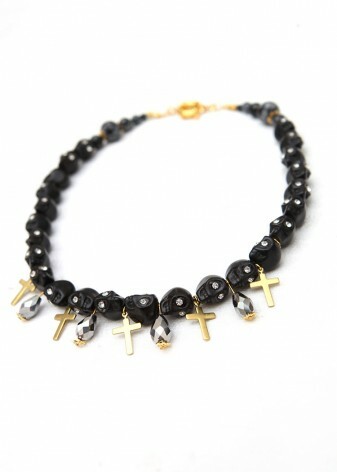 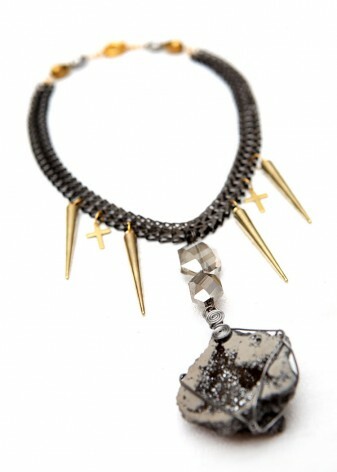 Adorn yourself in a bold, statement Smoothstone necklace, hand crafted as part of DIWAH’s unique Boho collection. A matinee crescent piece, the inner row is lined with tribal style turquoise beads, with a stunning faceted grey stone forming the central feature. 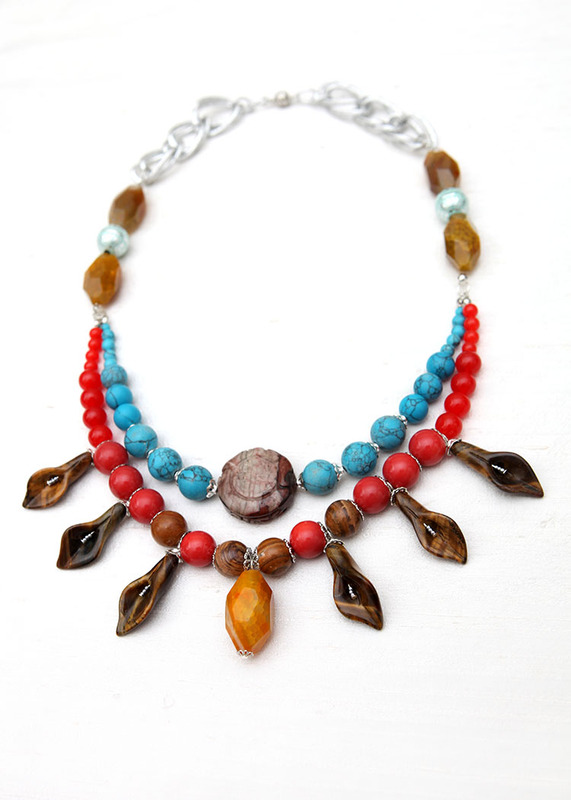 A layer of floral, ethnic components make up the outer row in rustic red, with rich tiger eye orchid charms. 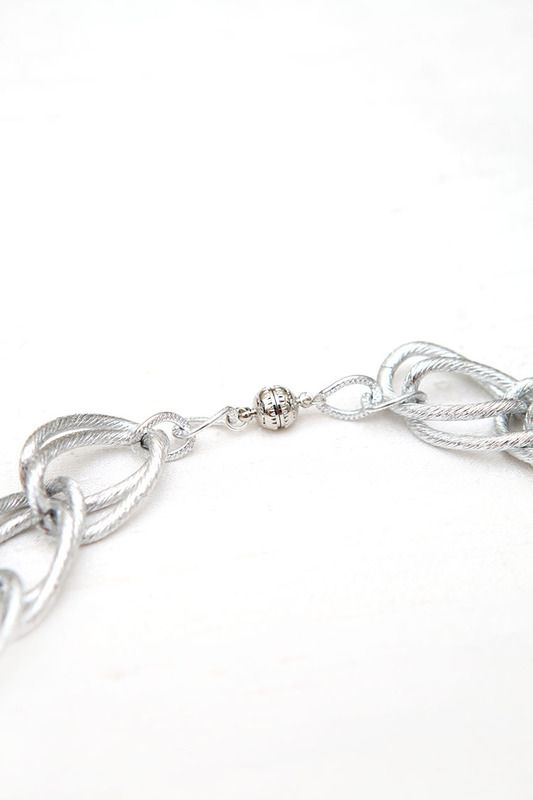 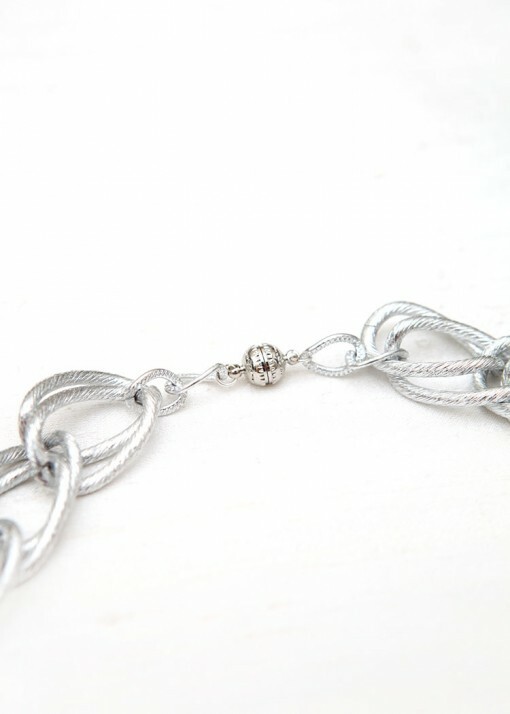 Chunky silver chain adds a modern, urban feel, perfect for the bespoke, vivacious festival look that will get your style noticed.